Biomass heaters and boilers are one of the most simple, cost effective forms of green energy available to homeowners and businesses in the UK today. 4 Seasons Renewables specialise in designing, installing and maintaining biomass systems across Exmouth, Exeter and Devon – providing you with reliable, clean energy. Depending on your energy requirements, we'll design a wood log, wood chip or wood pellet biomass heater or boiler using products from the industry's leading manufacturers. 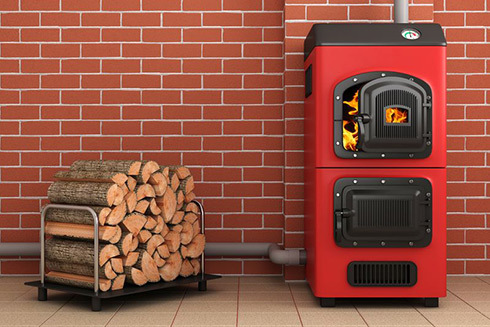 We'll then install your new biomass heating system, and ensure that it is fully maintained and in peak condition. Unlike coal or oil-based fuels, biomass is made of completely renewable materials. While the UK Biomass Energy Centre defines biomass as "biological material derived from living or recently living organisms" most laypeople will be comfortable referring to a biomass boiler as a heating system fuelled by wood. Most biomass fuel woods are sourced from British trees and plants, and then provided to the consumer as logs, chips or pellets. Because these trees are replaced, the carbon footprint of biomass systems is kept low, and supply is kept high. The type of biomass heating that we recommend will be determined by your needs, but your new boiler will be powered by one of the fuels below. Our service doesn't end with the installation of a new green boiler or heater. Our biomass experts will also be on hand to provide short, medium or long term service and maintenance to ensure your boiler continues to work at peak condition. Simply let us know your servicing requirements, and we'll do everything we can to help. 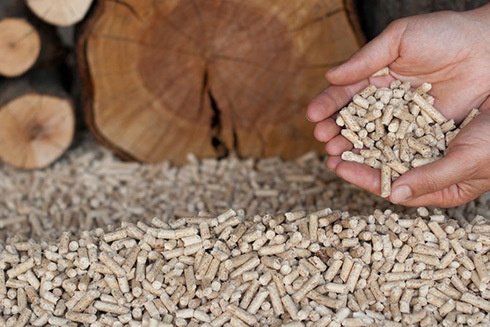 Easy to find in both rural and urban areas, logs are the simplest and most commonly used biomass fuels. To ensure efficiency and reduce smoke, we recommend using logs with a moisture content of below 25% for your biomass heating system. Wood chips are made of reclaimed waste wood and timber, which has been passed through a wood chipper. Wood chip biomass can be bought in large quantities (often by the tonne) and is widely available throughout Devon. Much more compact than logs, and taking up a third of the space of the equivalent weight of wood chips, wood pellet biomass is perfect for any household where space is at a premium. Wood chip biomass boilers can be fully automated, increasing efficiency in domestic and commercial heaters.